The term "organic" is strictly defined, so consumers should educate themselves well before their purchase. As awareness among consumers grows regarding the benefits of organic vegetables, the availability of this produce grows as well. What used to be a holy grail is now almost ubiquitous. If you want organic vegetables, a day trip to the truck farm is no longer necessary. Many people can now find organic vegetables as close as the corner store, although some options put you much closer to the source. Farmers markets often give you the opportunity to purchase vegetables directly from the farmer who grew them, although some markets allow farmers to sell produce purchased from other farms. Some markets strictly forbid conventionally grown food, while others are more open. When you visit a farmers market, ask the farmer about his growing methods, whether his farm is certified organic and when he picked the vegetables for sale. Ideally, the vegetables should have been picked less than 24 hours before the market. 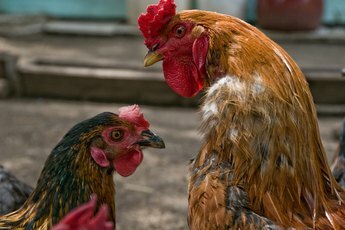 According to Local Harvest, the leading informational resource for the local agriculture movement, many small farms that use organic methods do not pursue organic certification due to the cost and complexity of the certification process. Produce from these farms can be called "naturally grown," but not "organic." Some organic farms run co-ops that allow you to purchase a membership during the winter and receive a weekly box of vegetables throughout the summer and fall. These co-ops help the farmers pay for seeds and other early expenses, and give you the opportunity to eat locally grown seasonal produce. Many farms that participate in co-ops grow a wide variety of vegetables, including some that may be new to you. Consumers who join a CSA often have the opportunity to visit participating farms and help pick or care for the vegetables while learning about organic growing methods. Natural food grocery stores specialize in all-natural and all-organic foods. These grocery stores are generally smaller than most grocery stores and are often more expensive, but they usually carry only locally grown vegetables from certified organic farms. Most large grocery stores carry organic vegetables in the produce section. While grocery stores often purchase produce from large corporate farms, many regional chains are working with local growers to bring organic vegetables into stores close to the farms (see References 4). Vegetables available in local grocery stores are usually chosen for their shelf stability and mainstream appeal. 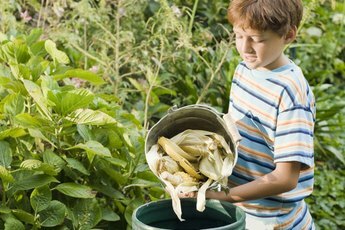 What Do You Put in a Compost Barrel? How Do I Eat Healthy & Organic? 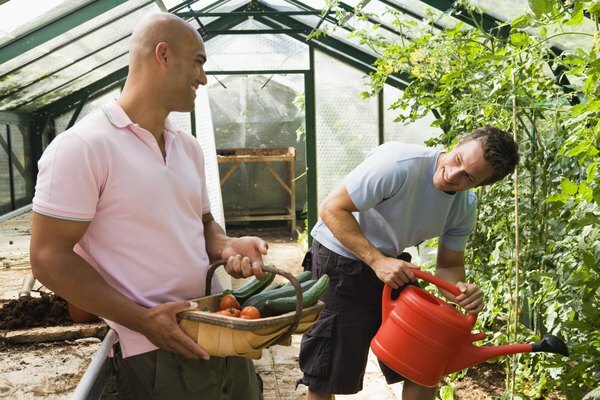 What Organic Fertilizer Should I Use on Vegetables? 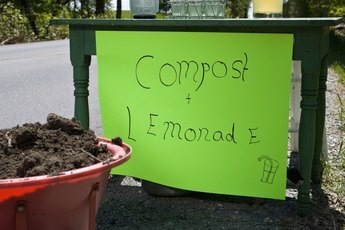 How Do I Pile Compost? When Should I Spread Out My Composted Soil?